Previous/Current Occupation: Mom, Grandma, sister. I was a single mother of two daughters. I worked odd jobs as a Nanny, mowed lawns and such, and went to Nursing school. I worked in a hospital, in orthopedics and then worked in an OB-GYN doctors office. I was very proud to work there as we were on the cutting edge of in-vitro fertilization. I worked 23 years in the Nursing field, ending my career as a Hospice nurse. How ironic that I started my career with beginning and the end of life. Ten years ago, I was diagnosed with EOAD and my career as a nurse ended. Not feeling sick and not acknowledging the diagnosis, I started a house cleaning/organizing business. I kept very busy! Approximately 2 years ago, I became terribly confused with following through on simple tasks, getting lost or not remembering where I was headed. I also was having hand tremors and coordination problems in my legs. I went to my PCP and was sent to neurologist. After eliminating any other possible cause, it was determined that I have EOAD, FTD/PPA. Age at tentative diagnosis: I was 46 years old when I was given a diagnosis of EOAD and then at the age of 55, the diagnosis of FTD/PPA. I don’t know the year of my first diagnosis! I’m guessing the FTD/PPA was May 2012. How long for definitive diagnosis? It took about 6 months for the FTD/PPA diagnosis. There were many tests, from different doctors and the neurologist that finally diagnosed me, sent all my test results to 3 other neurologists, specializing in FTD to confirm his diagnosis. Type of dementia: I have a firm diagnosis of EOAD, FTD/PPA from 4 different neurologists. Since diagnosis, what one or more action, success, or accomplishment do you take pride in? I have taken care of all my end of life planning, with a clear and open discussion with my family, doctors and friends, about my final wishes. I feel that for me, having those plans addressed and out of the way, allows me to continue to live life with a fairly positive outlook. I was feeling very bleak after I was given my diagnosis. I searched the internet for answers, cures and solutions. I kept coming up with “terminal”! In my searching, I realized that I wanted to hear from someone living with this disease, to see how they were doing, how that felt, what could I expect, ect. I was fortunate enough to meet several people who were blogging about their life with dementia. Those contacts led me to social websites and private or secret groups on FB. Last year, I was asked to be the Face of Dementia for the local Alzheimer’s Walk. I was given an opportunity to help break the stigma of dementia and age. I was asked to speak for a women’s awareness group, once again, giving me a platform to spread the word that people diagnosed can have a life. I am now creating a monthly Memory Café in my area, for those that are living with a diagnosis, can meet with one another on a social level. I belong to several on-line sites, such as DEMENTIAMENTORS.COM, where we can use Zoom to have Virtual Cafes. People from all over the world come together, sharing ideas, laughing and sometimes crying. My current goal is to raise funds to travel to those I have met and are now at a time of being no longer able to travel themselves. Just as in my career of Nursing, these magnificent people I have met, are nearing their end. It is my goal to be there for them. What do you wish your primary Physician knew about dementia? … about you? I wish my doctors knew how functioning I can be on one day, and so terribly unfunctional on another. I wish they would not talk around me, as if I weren’t fully present. I also wish that when a doctor does not have any knowledge in the area of FTD/PPA or dementia of any kind, that they would just tell me that in the very beginning. I hope my PCP knows how much I trust him. What do you wish your specialist Physicial knew about dementia? … about you? What I continually reflect back on after receiving my diagnosis, is how alone I felt with it. How after being told there was no cure or anything to slow it down, how afraid I was. My hope is to educate the doctors handing out such life altering diagnosis, sharing with them mine and hundreds of other’s knowledge of living with dementia. Giving them a resource package of contacts of other real people, groups and educational materials, related to their diagnosis. I want to tell them that they should explain that they themselves do not have dementia, and therefore can never really know how it will affect them, but here are people and resources to help you enjoy and work with the life you will live now. What do you wish your family knew about dementia? … about you? I hope my family knows how much I care about how they are having to deal with this disease. How much I try to remain the person they are familiar with. 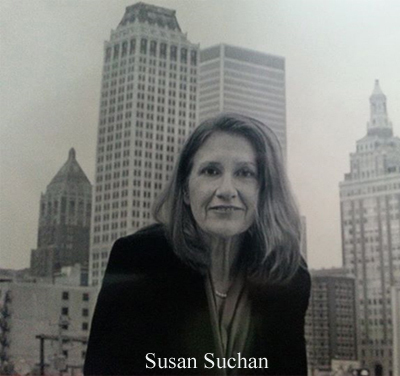 Susan is member of both Dementia Alliance International and Dementia Mentors.